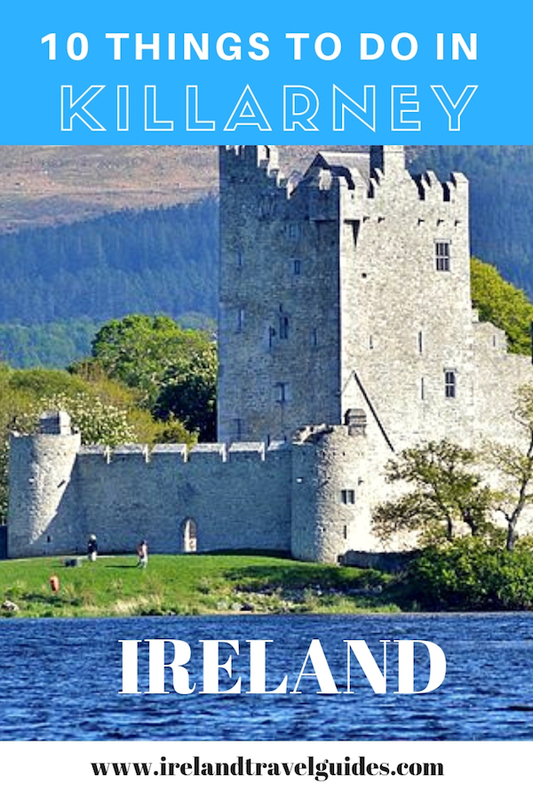 Killarney is a lakeshore town in the County of Kerry about 4 hours away by bus from Dublin. 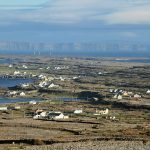 It is a popular tourist destination in Ireland as it is one of the scenic stops in Ring of Kerry along with the towns of Kenmare and Dingle. Famous for its national park, beautiful lakes, imposing castles, wildlife, and gorgeous landscapes, this town is named as one of the top 10 global tourist destinations in the world. 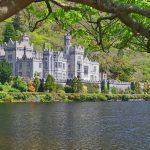 So if you find yourself in this side of Kerry, here are the best things to do in Killarney Ireland. Killarney National Park in County Kerry is one of the 6 national parks in Ireland and the first national park to be declared in 1932. It is located near the town of Killarney and it covers 25,425 acres of protected land. The park is of high ecological value because of the quality, diversity, and extensiveness of many of its habitats. There are also a wide variety of species in the parks including Red and Sika deer, and few of them are rare. The park was designated a UNESCO Biosphere Reserve in 1981. Nature conservation is the main objective of the park protecting the various and rare species in the area and the ecosystem. There is 24-hour pedestrian access to Killarney National Park throughout the year except for Killarney House and Gardens (9 am to 6 pm daily). To check the individual opening hours of each attraction, click here. 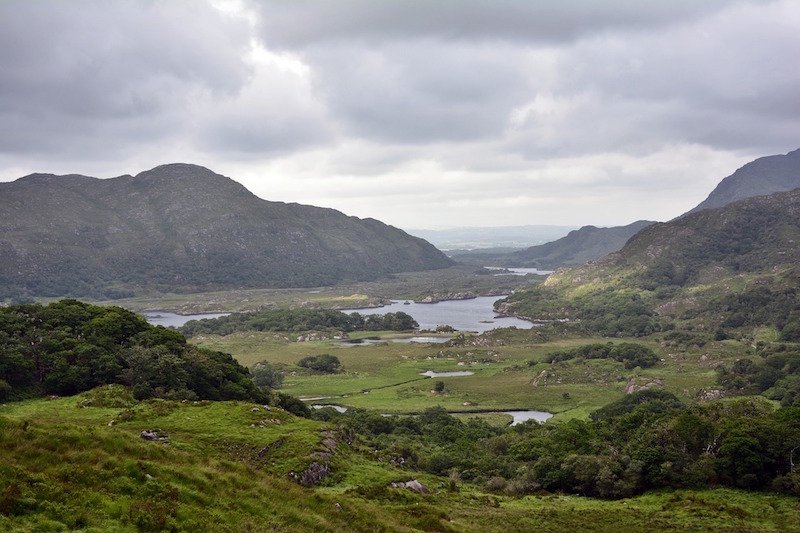 The admission to Killarney National Park is free. However, some of the attractions and activities have an admission fee. You can verify it from the visitor’s centre by using the contact information below. Only 1 hour from the town of Killarney, Carrauntoohil is the highest mountain in Ireland standing at 1,038.6 metres. It’s a challenging climb, but it’s also a very scenic trail. It is between 4-6 hour climb via Devils Ladder route. On the way, you’ll see streams, beautiful lakes, and gorgeous landscape. There’s a small admission fee which is €2 but a guided tour is highly recommended especially if it’s your first time. Killarney House is the seat of the Earls of Kenmare and located inside the Killarney National Park. It was built in 1872 on the same location where Kenmare House was located. The manor was built in a high ground affording a good view of the Lough Leane and the mountains nearby. There are available tours open to the public in Killarney House and the gardens. St Mary’s Cathedral is a beautiful gothic church at the centre of Killarney. It is set on a beautiful backdrop of lakes and mountains. It was built and designed in 1840 by the renowned English architect Augustus Welby Pugin. The building of the cathedral took a long time due to several problems encountered during the construction. It was completed and ready for mass in 1855. Muckross House, Gardens and Traditional Farms is one of the top visitor attractions in Killarney. 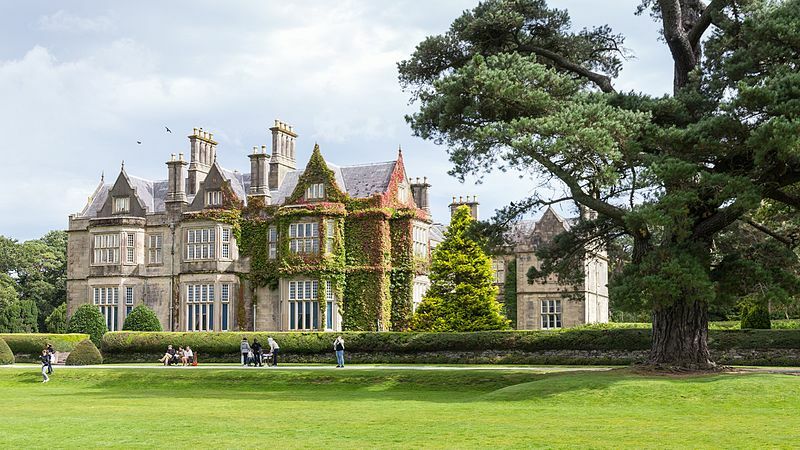 The Muckross House is a beautiful 19th-century Victorian mansion set amidst the beautiful Killarney National Park. Aside from the mansion, you can also explore the garden and the nearby working farms. There are 3 working farms inside the estate and one can witness the rural way of life in Ireland in the 1930s and 1940s. For an adult, the admission fee for the house is €9.00 while for the farm is €9.00. For joint ticket, it is €15 per person. For group and children admission fee, click here. Innisfallen is an island in Lough Leane, the largest among the three lakes in Killarney Ireland. 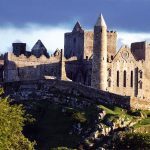 Innisfallen is home to the ruins of Innisfallen Abbey, one of the most impressive archaeological remains dating from 6th to 7th century found in the Killarney National Park. There are several boats from Ross Castle that goes to the island. The boat leaves at 9:30 am and the last trip is 5:30 pm. The boat ride only takes about 10 minutes. Or you can either hire a rowboat or a kayak if you want to go to the island on your own. Admission to the island is free but the boat ride can cause you about €10. 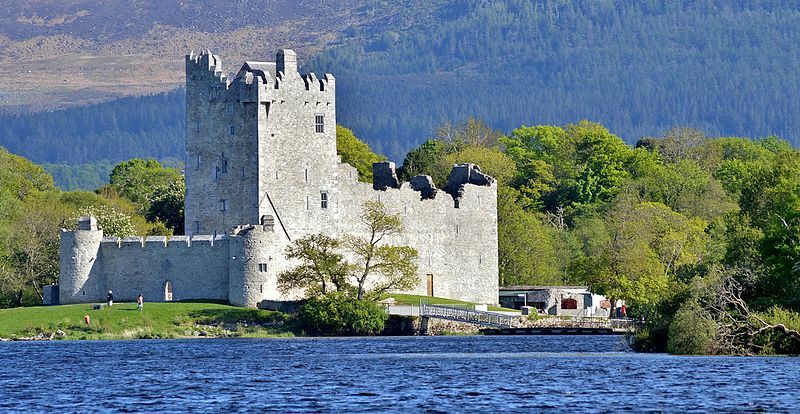 Ross Castle is also one of the best places to visit in Killarney and one of the must-see castles in Ireland. The castle is 15th-century tower house built by O’Donoghues Mor, a local ruling clan on the edge of Lough Leane. The castle has a long history of rebellions and wars and it is said to be the last castle to surrender during the Irish Confederate Wars. Torc Waterfall is a stunning 80 feet high waterfall nestled at the base of Torc Mountain and near N71 Killarney Kenmare road. It is around 7km from the town centre of Killarney. 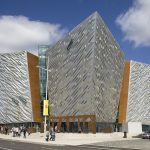 It is also one of the best attractions along the Kerry Way. One of Killarney’s best-kept secret is this beautiful woodland trails called Copper Mines. It is a paved path on the southwestern shores of Ross Island. It used to be a copper mining site but it is now simply a place that offers tranquility for those who are escaping the chaos of city life.